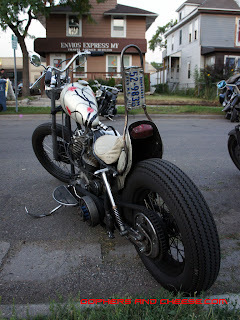 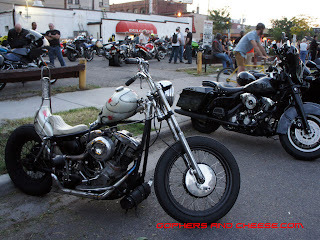 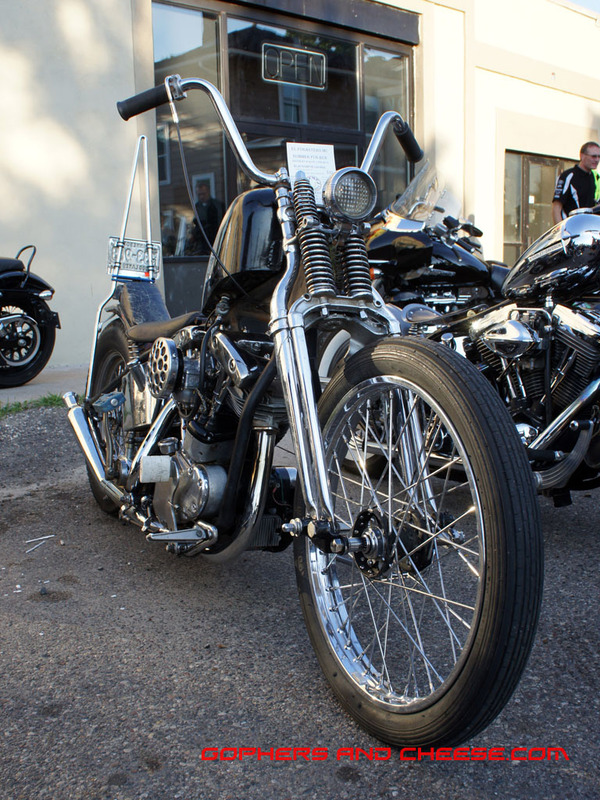 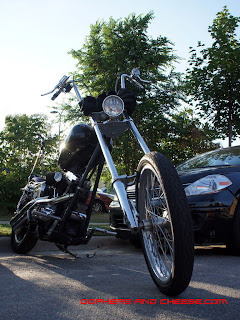 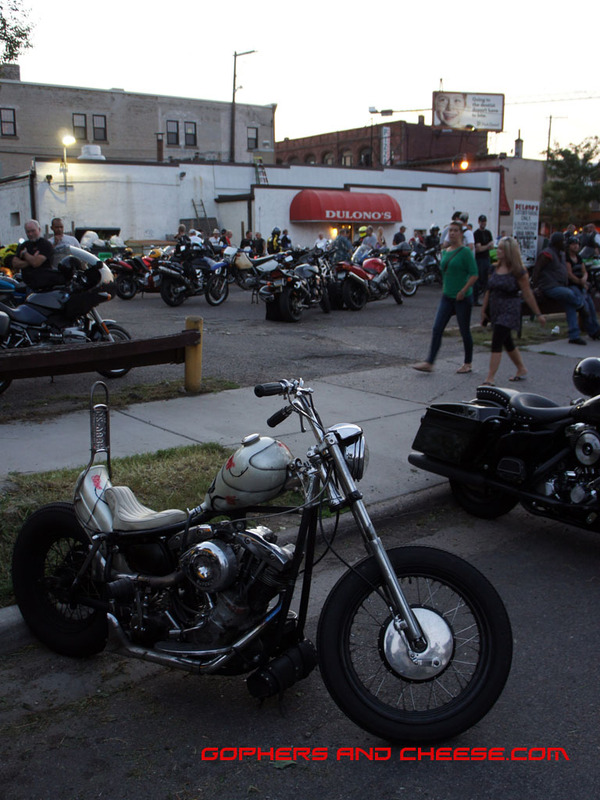 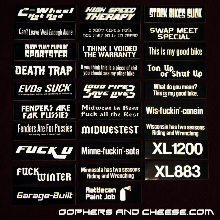 Quite a few of my favorite local bikes showed up to First Thursday at Dulono's Pizza. 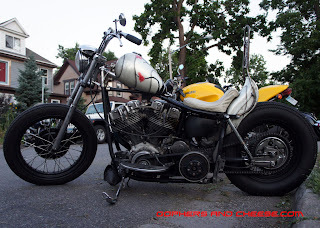 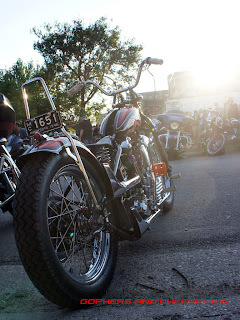 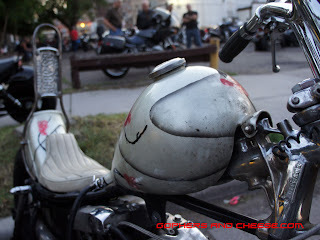 I first saw Watermelon Pete's knucklehead at Full Tilt and it looked amazing as the sun set over Dulono's. 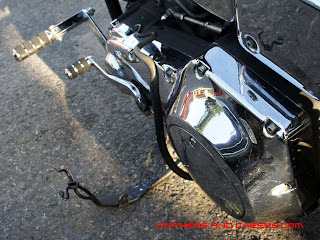 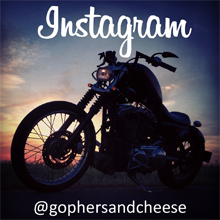 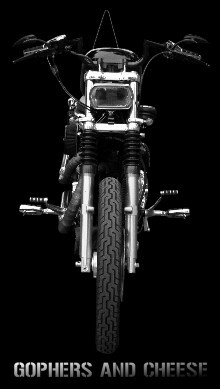 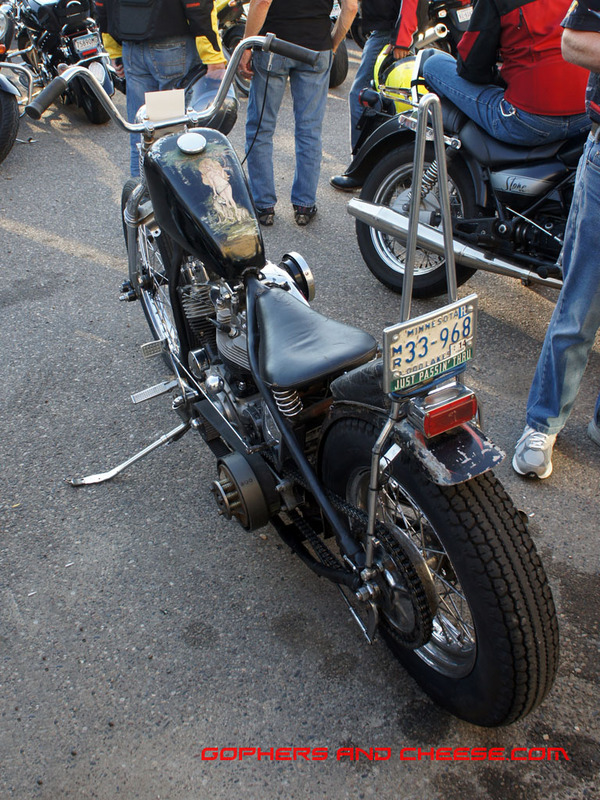 This bike's twisted sissy bar and raked out front end are hard to miss. Amazing and fortunate that this bike (and its owner) survived a collision with a deer. 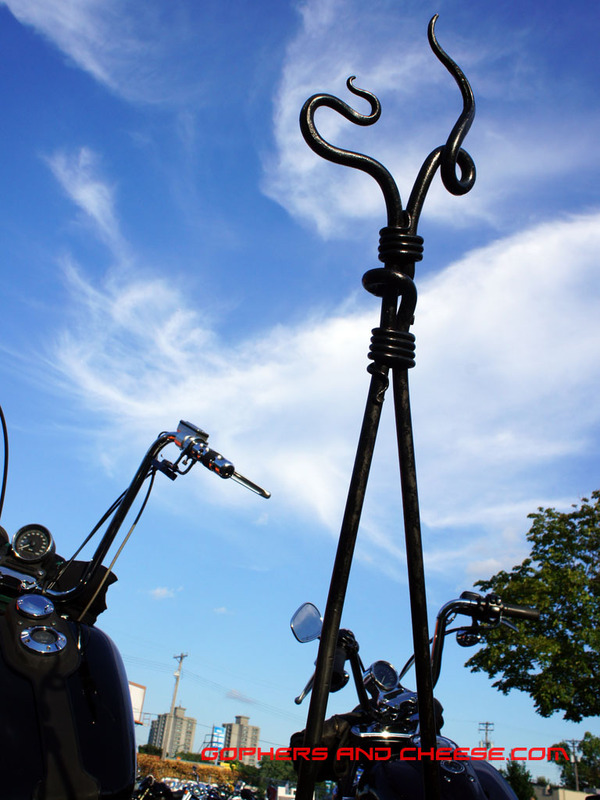 The last set of forks seemed to asborb the impact. 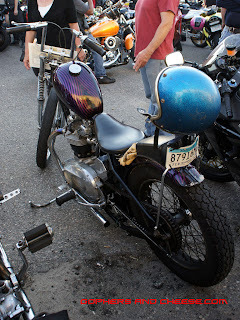 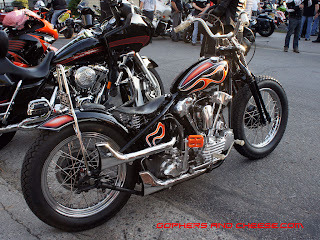 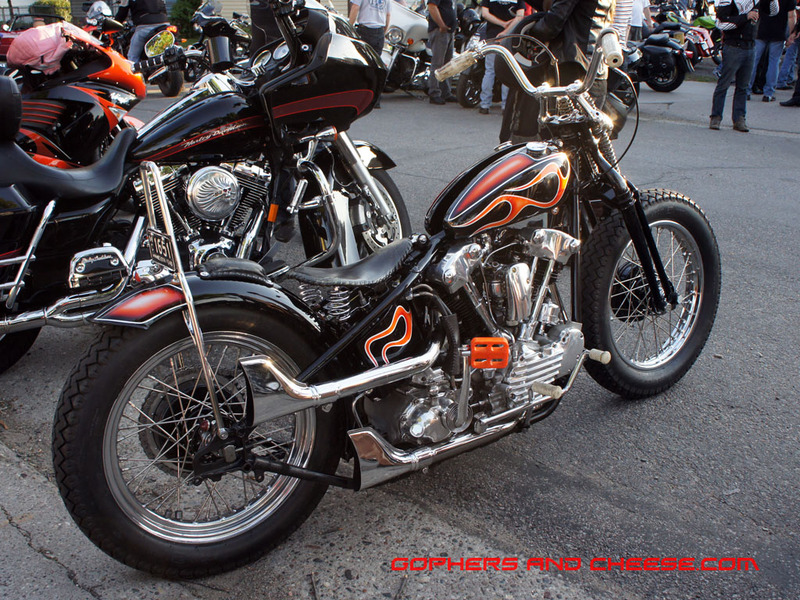 Charlie's shovel looked well-ridden and covered with road grime, a stark contrast to when I saw it shiny and pristine at the Donnie Smith show.